DRI International (Disaster Recovery Institute International - www.drii.org ) is the leading nonprofit that helps organizations around the world prepare for and recover from disasters by providing education, accreditation, and thought leadership in business continuity and related fields. Founded in 1988, DRI International has 15,000+ certified professionals in more than 100 countries and conducts native-language training in more than 50 countries, offering in-depth courses ranging from introductory to masters level, as well as specialty certifications. The organization's annual DRI Conference brings together leading business continuity professionals from both the public and private sector to share best practices and participate in continuing education and volunteerism. Through its Collegiate Conferences series, DRI is helping to create the business continuity professionals of tomorrow, partnering with universities to introduce students and faculty to this rapidly-growing field through day-long networking and educational programs. As a recognized expert resource, DRI acts in an advisory capacity to international organizations and government institutions worldwide, helping to create industry standards and promote greater resiliency through public-private partnerships. DRI is an ANSI-accredited Standards Development Organization. DRI Scandinavia was established in 2014 as DRI International's affiliate in Scandinavia. Our aim is to promote Business Continuity Management awareness and competencies among companies and individuals in the region. 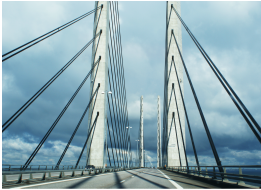 We are the authorized provider of DRI Business Continuity Management training courses and examinations in Denmark, Sweden, Norway and Finland. Our courses are taught by DRI Certified Instructors coming from the business continuity/disaster recovery industry. All courses and examinations are implemented according to DRI standards and with the guidance and support of DRI International.